If you love wine, then you know a good wine is made better based on how you store it. 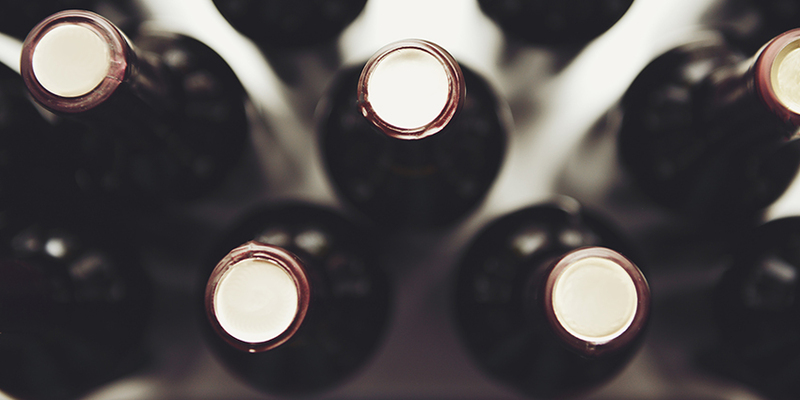 There are several ways you can store wine to help lengthen its shelf life and help it age in optimal conditions. 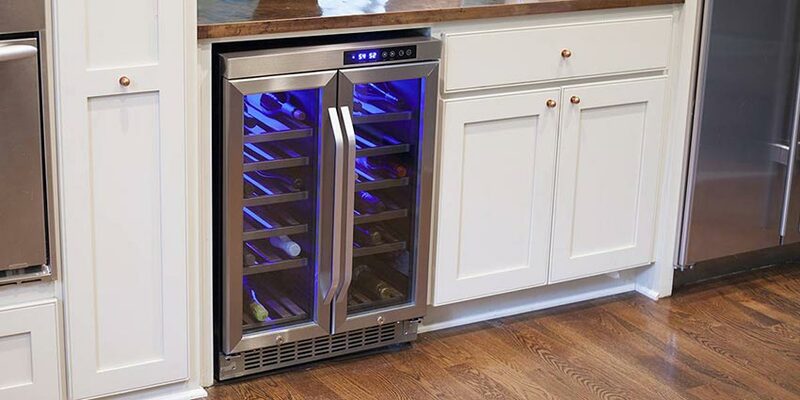 You can purchase wine refrigerators and coolers to chill your wine and keep it in the short term, but if you want to store a larger amount of wine for longer (and cheaper), wine racks are your best option. By prioritizing and understanding exactly what your requirements are, you are much more likely to invest in a wine rack style that is perfect for your needs. 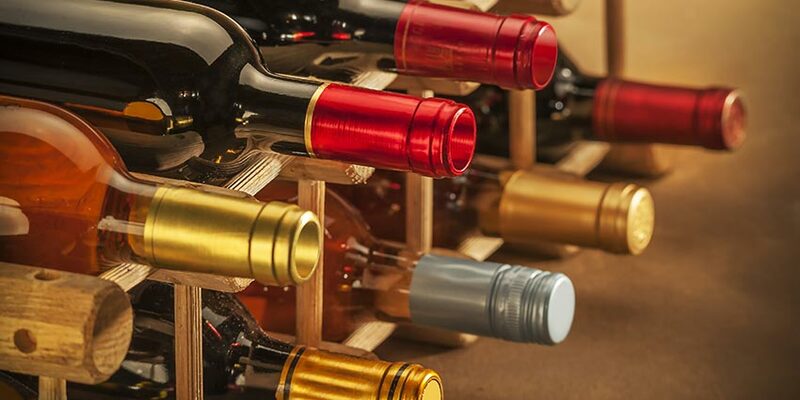 Below, we have listed five common styles of wine racks, what their benefits and drawbacks are, and what type of wine collector would be best suited to the wine rack style. One type of wine storage solution is the use of stackable racks. These modular racks are a great choice if you are just beginning your collection and want to start small, or if you have minimal storage space and need something customizable and buildable. The great thing about stackable wine racks is that they can expand as your wine collection does. You can buy one set of racks and purchase more as your collection grows over the years. Because of their simple style and design, you can continue to stack and line them up in your wine room or cellar as your collection increases in size. A stackable rack is a good option for casual drinkers who want to keep their options open since there is virtually no installation and very minimal building involved. However, these racks aren’t necessarily as beautiful or permanent as more expensive varieties, and some cheaper options might not be as stable. If you are a more serious wine collector, you might want to consider another wine storage option. Another great option for the casual wine drinker is a tabletop rack. These racks generally hold fewer bottles than floor or wall-mounted racks. The casual collector can store a few bottles at once on their tabletop wine rack, making this style of storage perfect for people who live in apartments or smaller homes. If you can’t install a wine room or cellar, tabletop wine racks allow you to easily grab a bottle of wine and pop it in the refrigerator to chill when company comes over. There are also slightly larger wine racks that have a table built into them and often include storage for wine glasses. These hold more bottles than the traditional tabletop variety and provide a beautiful piece of home décor. This style of wine rack is generally designed so you are able to stand or sit around it and enjoy wine with family and friends. If you are a more serious wine collector, these smaller racks will probably not be big enough for you. They are also not ideal for long-term storage since their presence in your dining room or kitchen does not allow for the same level of control over temperature, humidity and sunlight. Another great choice for wine racks is a wall-mounted rack. These are great for many reasons. They are often larger and sturdier than tabletop wine racks, making them great for serious collectors with a large collection. 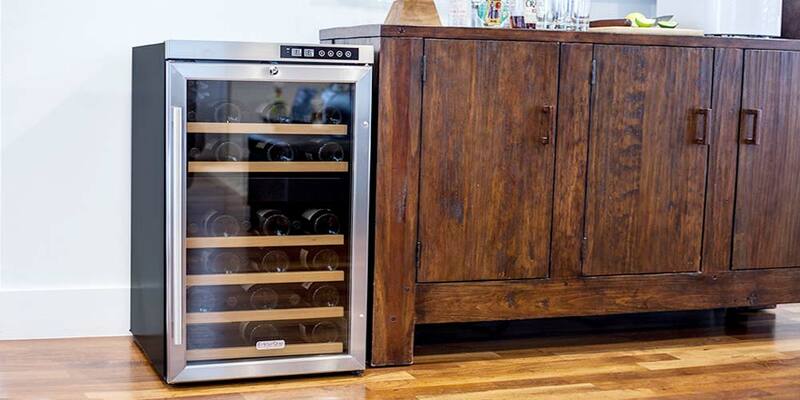 They help save space in smaller wine cellars or wine rooms. They are also often modular which allows you to continue to grow your collection. In a climate-controlled room, these wine racks allow for proper storage and aging. There are also types of smaller wall-mounted racks that provide you with wall décor in any room in your home. When you use wall-mounted racks in your kitchen or dining room, you will still run into problems with light and temperature control, so be sure you aren’t using these racks for the sole purpose of aging. Another draw-back of wall-mounted racks is the installation and hardware. You have to be comfortable putting nails, screws and other hardware into your walls. You will also find it more difficult to take your racks with you if you ever choose to move to a new home. 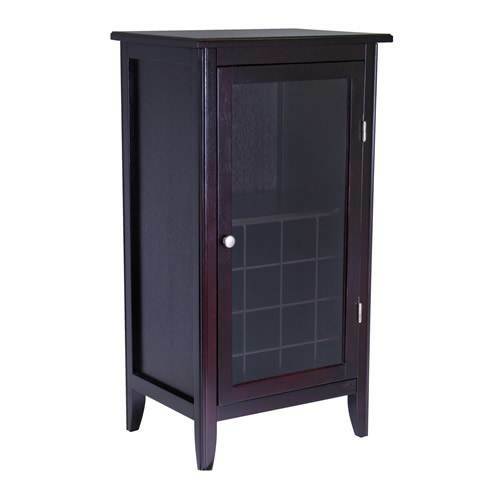 If you are a modest collector or someone who is limited on space, a great wine storage option for you is a wine cabinet. These cabinets can hold a dozen or more bottles of wine and often have spaces for wine glasses and other accessories. You can place these cabinets in any room in the house, and because they have doors, they provide for better light and climate control than a table-top or novelty wall-mounted rack. These cabinets will probably not be large enough if you have an extensive collection, but they are a great way for you to store your wine safely if you are just beginning your wine collection. 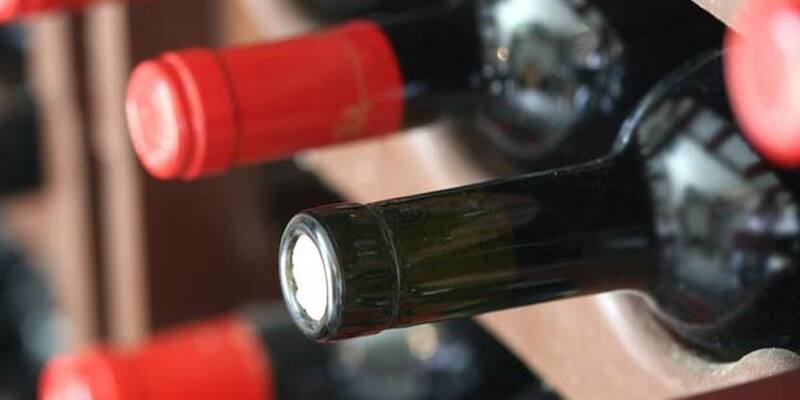 Custom wine racks are a great option if you are a serious collector. You can select the wood, stain, style and size of the racks and have them custom-built to fit into your wine room or cellar perfectly. You can choose to build enough racks to give your collection room to grow. With a customized wine cellar, you will be able to have the collection of your dreams. You should probably only consider customized racks if you are a more serious collector. These racks tend to be significantly more expensive and permanent than other varieties. If you are a novice collector, you may not know what style of rack you like best and these customized wine rooms and cellars may be too big of an investment for you right at first. All of these racks can be made of a variety of materials. You can generally choose the materials, style, design and color of your customizable racks. This could include a large variety of woods and stains, recyclable materials or metal. If you want to hang racks on the walls, especially smaller ones as decoration, you should consider racks made of lighter materials to avoid causing to damage the walls. 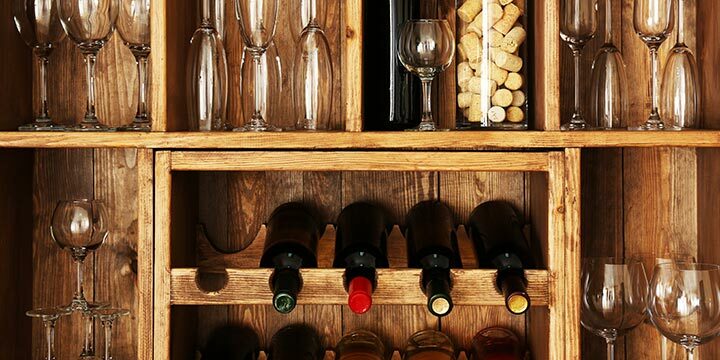 No matter what size your wine collection is, you can find the right rack and storage solution. A little bit of research and knowledge can go a long way to give you the collection of your dreams. 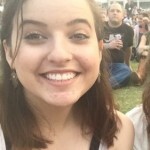 My first visit; I’m impressed with everything I see here, but your photography is splendid; I hope to learn something! My brother has been collecting different types of wine or alcohol for years now and needs a place to store them. You mentioned that the right wine racks can make a huge difference in how your win ages and each type of rack provides its own unique characteristics and benefits. 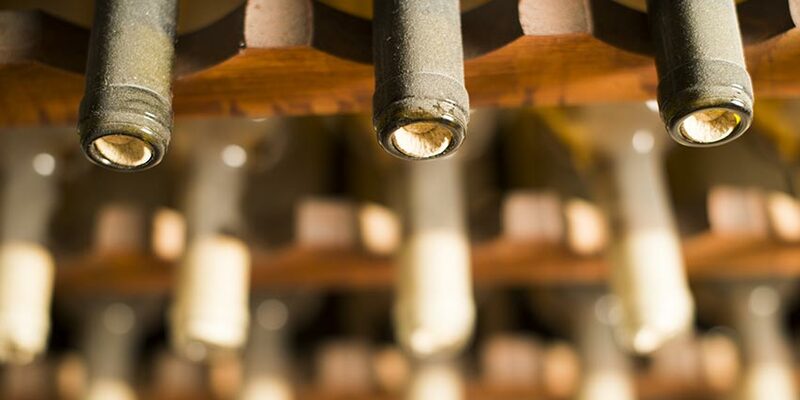 Do most wine collectors prefer a certain style or type of rack? Finding a good wine rack for be very valuable for the future.